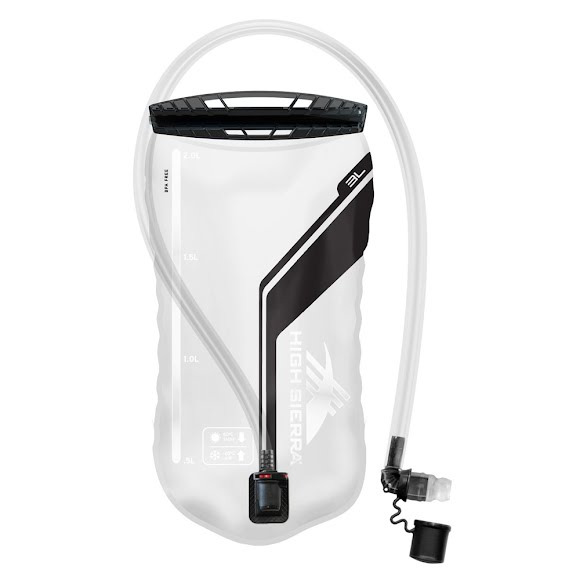 The High Sierra 3.0L Replacement Reservoir features an ergonomic bite valve, slide locking reservoir, and clever quick connection system. Slide-locking design provides for easy filling, cleaning , and drying. The durable multi-layer material used for the reservoir is both BPA and taste free. Hose is connected to the reservoir via a quick-connect system. Press the red button to disconnect the hose from the reservoir. The connector features auto-shutoff to prevent leaking when hose is not attached. High flow and ergonomically angled design delivers a high level of comfort and performance. Measurements 17.5" x 10.1" x 0.08"